Historians have always been interested in cities and their resource inflows. They rarely ventured out from their comfort zones and talked about outflows. Romila Thapar’s book ‘Asoka and the Decline of the Mauryas’ sheds a lot of light on Mauryan capital. We all know that Pataliputra, the cosmopolitan capital of Mauryan Empire, was sourcing cotton from some such and such area; wood was being sourced from geographies varying from lower Himalayas to Kalinga in South. What do we know about its waste management, except the names of certain castes and social groups who were responsible for it? Same goes for Mughal era cities. Neither waste nor waste workers were fancy enough for historians to study and write about. Let us look at the books on Bangalore. Janaki Nair’s masterpiece, “The Promise of the Metropolis: Bangalore’s Twentieth Century”, “Bangalore” by Peter Colaco are all but silent about waste economy and management. Let us accept that waste has never been so interesting to be written about. City historians have been silent about its existence. Not one of us in Hasiru Dala knew how to write, leave aside writing description of the city. We undertook the challenge. We are an association of waste workers, we want to tell the story of Bangalore, and through the waste it generates and manages. We want to tell our stories in our own way. We chose Nayandahalli as our laboratory. How do you describe a city? Is there are particular style to follow? Give some statistics, share some anecdotes and move on to sermons about what is wrong with the city, romanticise its elements and add some masala of ethnographic divisions. Not so sure! There are books written about cities, their past, present and future. There is no single recipe to formulate understanding of a complex creature or an ecosystem called ‘city’. Notes from Nayandahalli is our way of looking at Bangalore, – the fifth metropolitan of India, through its waste and the eyes of waste workers. A lot has been described about Nayandahalli in our previous posts. A lot more is to be shared. Sorted Tetrapaks, ready to be sent to processing units. Nayandahalli is a settlement of urban nomads, whose existence and movement is dependent on land and petroleum prices. These urban nomads are sorters, godown owners and factory wallas. I will use the term ‘recyclers’ for them in this post, as it is all encompassing. They buy waste from all over the city through scrap dealers and wastepickers. Bring it to Nayandahalli. Sort it in varying categories; transport it to factories in vicinity, where waste is processed. 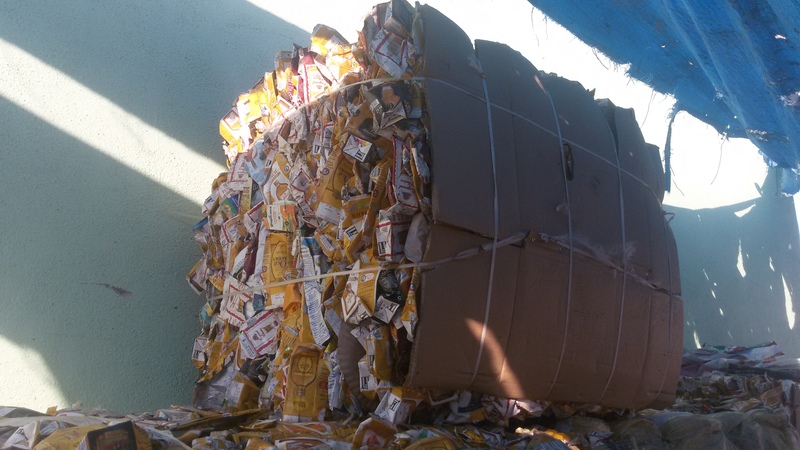 After processing, the waste which became raw material is forwarded to manufacturing units. They use it for producing finished products. To conclude, it is in Nayandahalli that the waste becomes a resource- raw material for booming manufacturing sector. Why do I call recyclers urban nomads? Recyclers are constantly on move. Their movement and existence is dependent on petroleum and land prices. Most recyclers are tenants. Very few of them own the land on which their factories or godowns are constructed or installed. The moment land prices go up; their landlords give them the notice to leave. In past many godown owners were based in Gangondanahalli and Shyamanna Garden, from there they moved to Nayandahalli. The land prices in Nayandahalli are shooting up fast, thanks to the metro rail extension to the area. The recyclers have already received the notices. They will soon be packing their bags, dismantling the structures they have installed and leave for another place. Their constant displacement makes them nomads. They are angry and want to get rid of this forced nomadness. Land prices displaces them, petroleum prices hit their stomachs fiercely. Whenever petroleum prices drop, dhanda becomes manda. In the time of low petroleum prices, as it is now, manufacturing finished products with virgin raw material is cheaper than the recycled ones. Recycling units shut down. It forces many to move to other informal economy vocations. There are no guidelines suggesting industry to have certain proportion of recycled material in their products. Any such measure undertaken can stabilize the demand for recyclable material and reduce the harm caused by reduced petroleum prices. Increased land prices, reduced petroleum prices induce nomadness. Age: India is a young nation; it is reflected in all trades and vocations. Same goes true for recyclers. 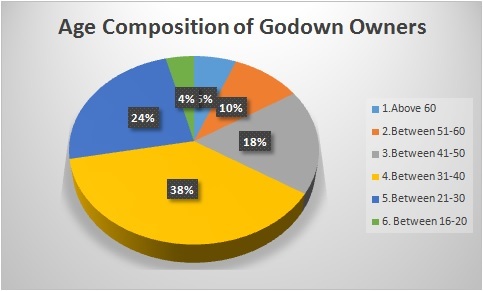 62 percent of godown owners are in the age group of 21-40 years, categorized as youth in India. It is on the shoulders of these young godown owners – green entrepreneurs, the foundations of Swachha Bharat and Make in India will stay firm. Most of the young godown owners are second generation in the business and have learned about the trade from their parents. 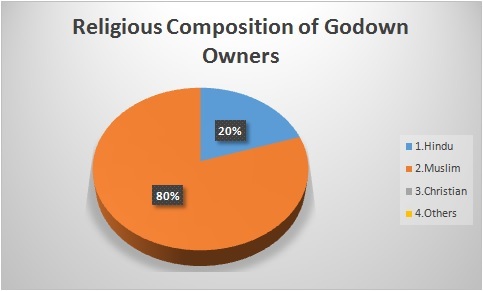 Religious, linguistic and Caste configurations: 80 percent (in actual numbers-40) of the godown owners have stated that they are Muslims and twenty percent said that they profess Hinduism. The higher participation of Muslims in informal waste economy highlights the national trend i.e. nationally a large number of Muslims are engaged in informal economy vocations. 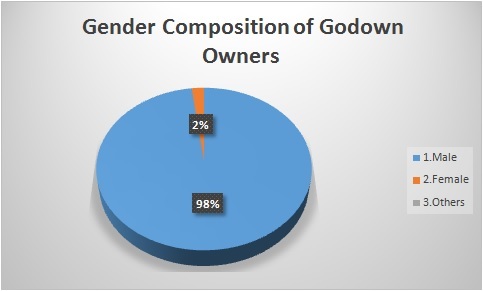 Within those ten godown owners who profess Hinduism, five belong to Scheduled Castes (SCs) and Schedule Tribes (STs) categories of Indian constitution and their higher participation complement nationwide trend, where both SCs and STs are higher in informal economy and informal waste economy professions. Caste trends are not very clear when it comes to Muslims. Most respondents were not sure about their caste. 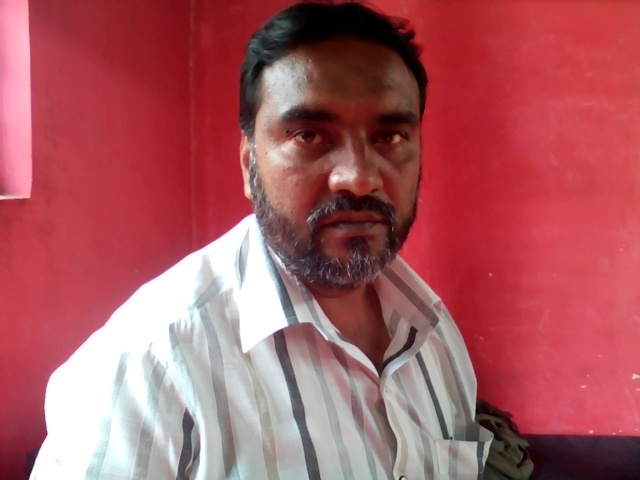 22 Muslim godown owners –respondents shared that they are Sheikh, Sayyid/Syed and Pathans by caste, all of which falls in general category in Karnataka, the rest were not very clear about the caste they belonged. Caste is not a very important identity within Muslims in Nayandahalli and Bangalore at large. This has also been pointed out in the case study on Bangalore published in the book ‘Muslims in Indian Cities: Trajectories of Marginalisation’, co-edited by Christophe Jaffrelot and Laurent Gayer. 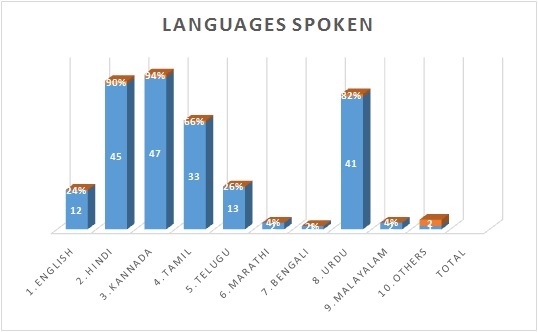 Godowns like Bangalore or any other city in India are melting pots of languages and identities. There are more Muslims than Hindus. Caste patterns within Hindus are partially clear where as with Muslims it is still very confusing. The coming posts will have more anecdotes, stories and some more statistics about urban nomads. The post here is a part of the Notes from Nayandahalli series and is a reflection of an ongoing study supported by Indian Institute for Human Settlements and WIPRO Cares. You can find the previous posts here… Post 1, Post 2 and Post 3. The survey is ongoing and is being conducted by Malleswari Baddela and R. Usha.